Who can benefit from art therapy? Where do art therapists typically work? Where can I find an art therapist and what kind of training should she or he have? How can I join GATA? What is the benefit of being a member of GATA? 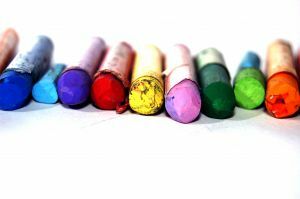 What training do you need to get a job as an art therapist? Are there any Art Therapy Master's degree programs in Georgia? Where can I find a Master's degree program in Art Therapy? Are there volunteer positions or internships in art therapy? Where can I get art therapy supervision? What is the job market like in Georgia for art therapy, and how can I go about finding a job? Will my ATR-BC credentials be enough for me to get a job as an art therapist? Why is important for Art Therapists to seek and obtain licensure in the state of Georgia? What is the salary range for art therapists working in Georgia? What credentials do I need to start my own private practice? How can I become a Registered Art Therapist (ATR), and then obtain Board Certification (BC)? How can I contact AATA (the American Art Therapy Association, Inc.) for information and membership? We maintain a calendar of Workshops, Conferences, Symposiums, Classes. We offer information and connections for Supervision, Internships, Jobs and Volunteer Positions. We are happy to share links, publication resources and our information about our Board and members. Art therapy is the clinical application of art and psychology as a vehicle for communication, healing, and growth. Self-expression through the arts engages the creative process and helps clients gain insight, and fosters a sense of well being. Sometimes feelings are too difficult to talk about and the process of art therapy can make verbal expression more accessible. Note: Many of the links on this page are PDF downloads. You will need Acrobat Reader to view them. If you do not have Acrobat Reader, click here for a free download.